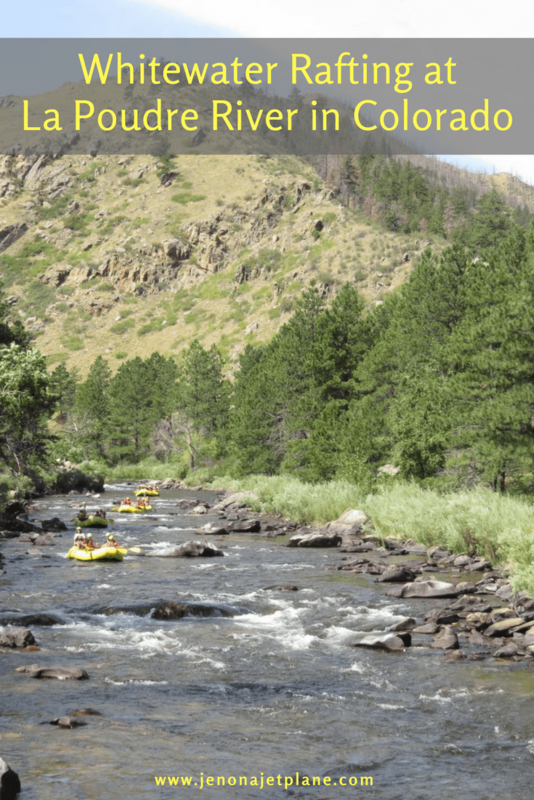 Whitewater rafting La Poudre river was a bucket list item for me. It’s one of those adventures that sounds more intimidating than it actually is. Maybe it’s because I went during low tide, or maybe because I paid extra attention during the orientation session, but everything turned out to be a whole lot less anxiety inducing, and a whole lot more fun, than expected. When I found an amazing flight deal to Denver, I took advantage of the opportunity to partake in this experience. The weekend I was eyeing fell on a free national park admission day, so I took it as a sign from the universe and booked my ticket. Denver isn’t exactly close to Rocky Mountain National Park, but I knew all along that was my primary destination. I had just finished hiking Huayna Picchu and was on a high from the thrill of summiting mountains. I set out determined to make the most of this surge of courage and try whitewater rafting once and for all. Unbeknownst to me, August is actually low tide season for all the rivers in the area, with the water height and conditions peaking in July. The upside was that I got to pay a reduced rate for my trip, but the down side was I was that I only experienced class 2-3 rapids. 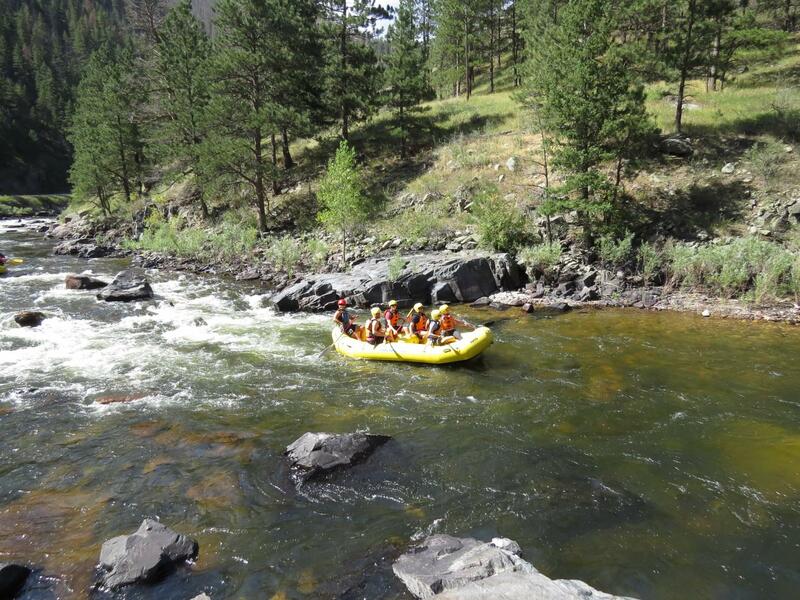 You need class 4 rapids and up for the adrenaline-inducing rapids you see on TV. What really made this trip enjoyable for me, however, was the atmosphere fostered by the guides on the trip. They were all a group of friends that I felt embodied the spirit of Colorado–wild, easygoing, daring. 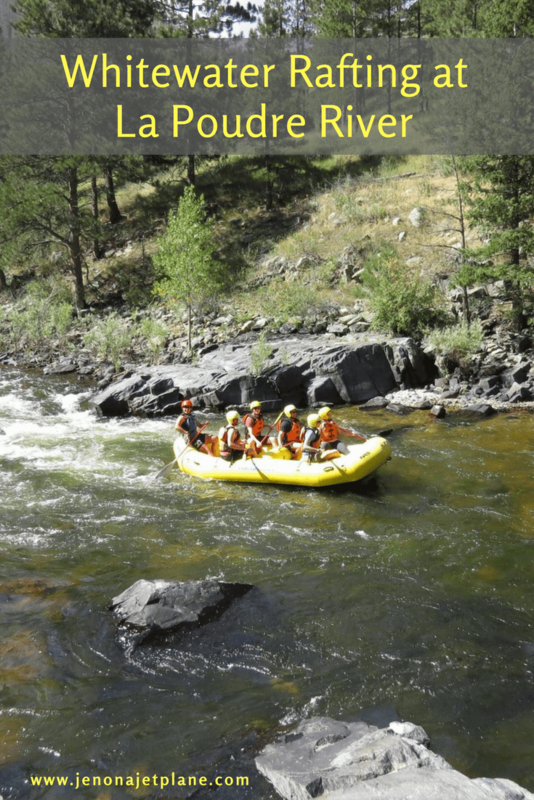 Here’s everything you need to know if you want to experience rafting down La Poudre River! 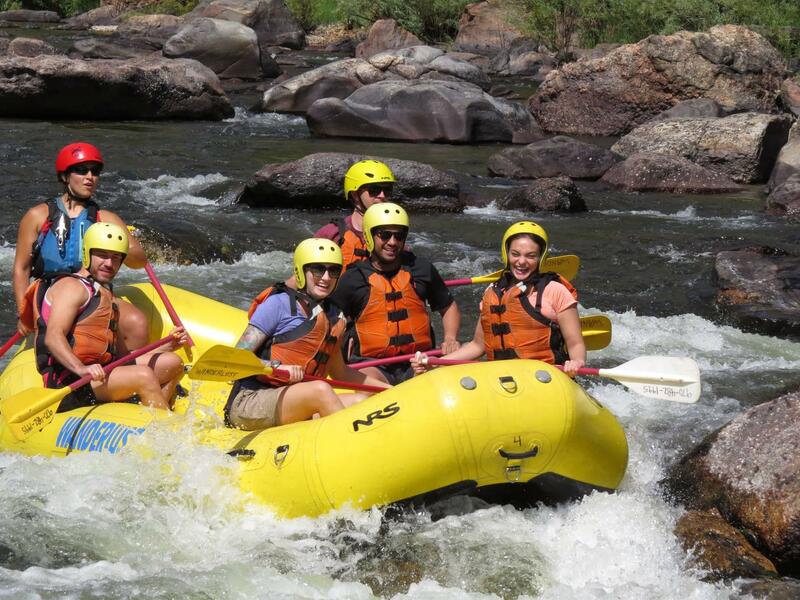 I went rafting with a company called The Wanderlust Adventure, and they were excellent from start to finish. They even took professional photos and videos, available afterwards for a reasonable price. Considering I don’t go whitewater rafting often and it’s hard to take selfies while holding an oar and attempting not to accidentally bash others across the face, the service was much-appreciated. They have all of their own equipment and load up buses to shuttle you to and from the drop-off points. You have to help load and unload the tubes, so be prepared for physical activity. The orientation session was thorough, and I felt well prepared for the experience. The river is cold. Even in August, the peak of summer, it was a chilly 40 degrees. This means that you want to pay attention to limit the chances that you’ll fall in. 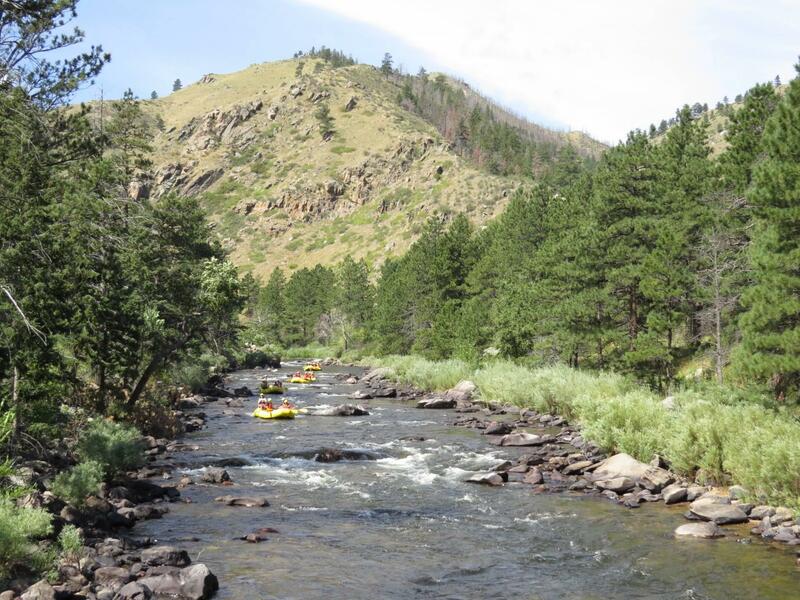 La Poudre runs more than 100 miles through scenic Colorado countryside. The only other people you’ll see on the river with you are other tour groups enjoying nature. It’s very clean, and those who use it like to keep it that way, so be conscious of what you bring with you and leave most things in your car. The guides also joke about making you drink Poudre water, since it collects in your water shoes and makes squishy noises when you walk. Embrace the jokes and jesting–it’s all part of the experience. You have to be conscious of your hand placement at all times. If you’re not, your oar could slip and injure others. If you have shoulder injuries or issues with dexterity, this is not the activity for you. No matter what you’re told, you will get wet. Leave all valuables in the car–phones, wallet, etc. Also, come prepared with a change of clothes and a towel–you’ll need it afterwards. 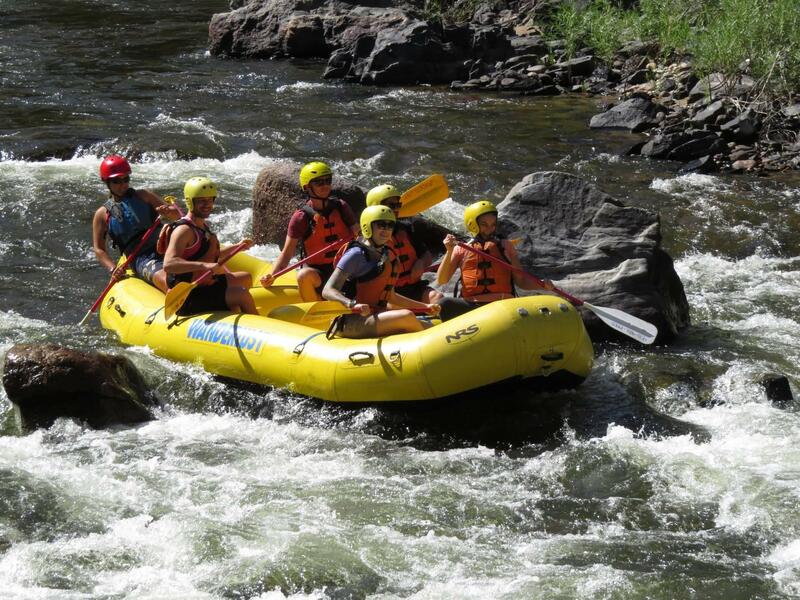 August is a great time to visit for first timers who want to take advantage of the beginner rapids and discounted rates. Those seeking more of an adventure should go in July. Last but not least, have fun. That’s what it’s all about, after all.